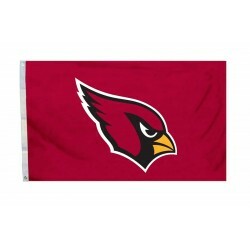 Arizona Cardinals 3' x 5' Polyester Flag100% synthetic waterproof polyester materialDouble stitched .. 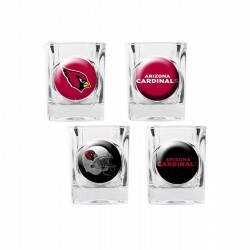 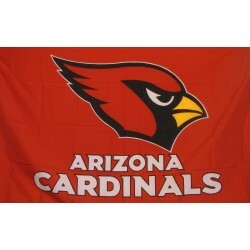 Kit Includes: 1 - Arizona Cardinals 3' x 5' Polyester Flag1 - 6' White Steel Flag Pole1 - Wall Brac..
Arizona Cardinals Shot Glass Set 4 Piece Set Displays evolution of team logo Officially License..
Arizona Cardinals Desert 3' x 5' Polyester Flag 100% synthetic waterproof polyester material Dou.. 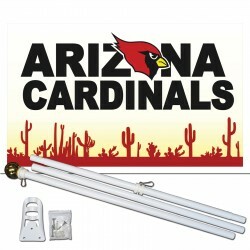 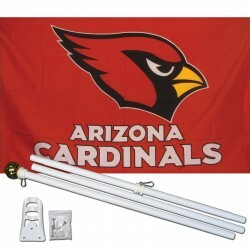 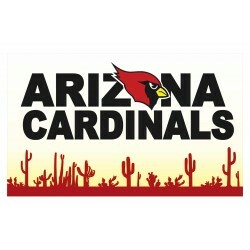 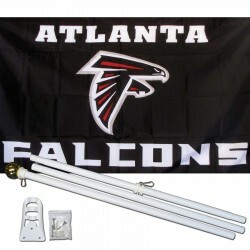 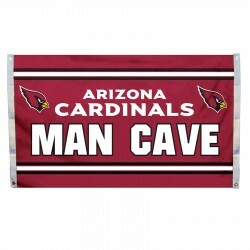 Kit Includes:1 - Arizona Cardinals Desert 3' x 5' Polyester Flag1 - 6' White Steel Flag Pole1 - Wall..
Show everyone that you are a die-hard fan by hanging up this 3-foot x 5-foot NFL flag. 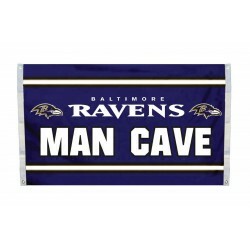 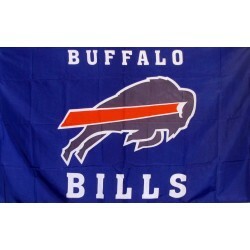 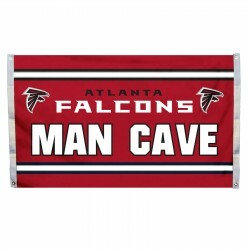 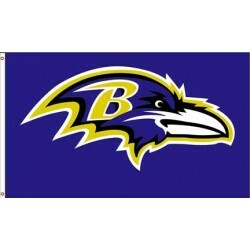 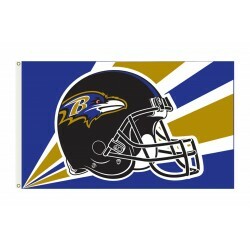 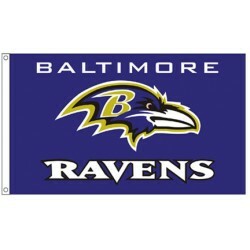 This flag is ..
Show everyone that you are a die-hard fan by hanging up this 3-foot x 5-foot NFL Man Cave flag . 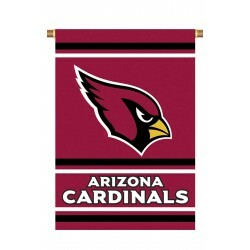 Thi..
Support your favorite team by hanging up this two-sided NFL premium 2-sided banner. 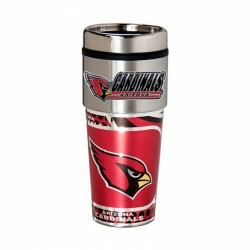 This 28-inch x 4..
Arizona Cardinals Stainless Steel Tumbler Mug Stainless steel outside/Plastic inside 360° metall..
Atlanta Falcons 3' x 5' Polyester Flag 100% synthetic waterproof polyester material Double stitc.. 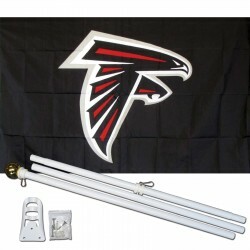 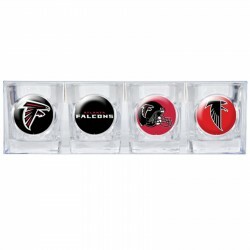 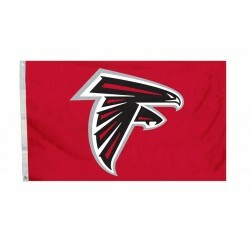 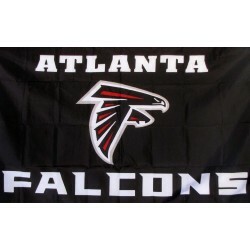 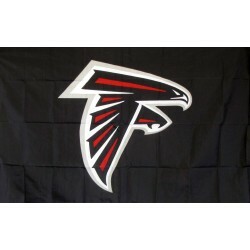 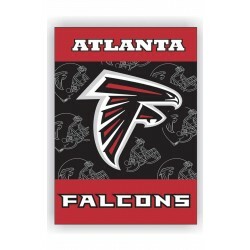 Kit Includes: 1 - Atlanta Falcons 3' x 5' Polyester Flag1 - 6' White Steel Flag Pole1 - Wall Bracke..
Atlanta Falcons Shot Glass Set 4 Piece Set Displays evolution of team logo Officially Licensed ..
Atlanta Falcons Mascot 3' x 5' Polyester Flag 100% synthetic waterproof polyester material Doubl.. 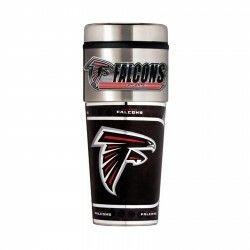 Kit Includes: 1 - Atlanta Falcons Mascot 3' x 5' Polyester Flag1 - 6' White Steel Flag Pole1 - Wall..
Atlanta Falcons Red 3' x 5' Polyester Flag 100% synthetic waterproof polyester material Double s..
Atlanta Falcons Travel Mug 16oz Tumbler with Logo Stainless steel outside/Plastic inside 360° me..
Baltimore Ravens 3' x 5' Polyester Flag 100% synthetic waterproof polyester material Double stit.. 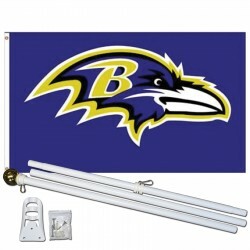 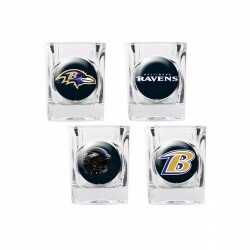 Kit Includes: 1 - Baltimore Ravens 3' x 5' Polyester Flag1 - 6' White Steel Flag Pole1 - Wall Bra..
Baltimore Ravens Shot Glass Set4 Piece SetDisplays evolution of team logoOfficially LicensedShow pri..
100% synthetic waterproof material Designs are through-printed and visible on both sides&..
Baltimore Ravens Mascot 3' x 5' Polyester Flag 100% synthetic waterproof polyester material Doub.. 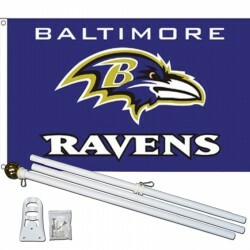 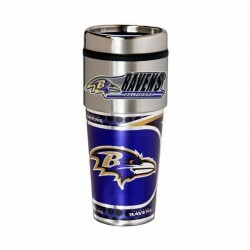 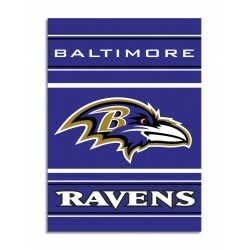 Kit Includes: 1 - Baltimore Ravens Mascot 3' x 5' Polyester Flag1 - 6' White Steel Flag Pole1 - Wal..
Baltimore Ravens Stainless Steel Tumbler Mug Stainless steel outside/Plastic inside 360° metalli..
Buffalo Bills 3' x 5' Polyester Flag 100% synthetic waterproof polyester material Double stitche.. 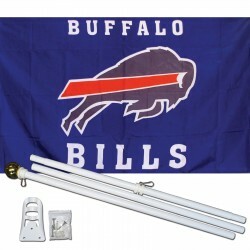 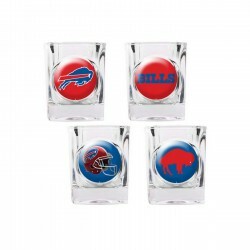 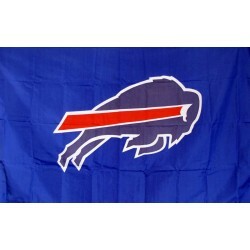 Kit Includes: 1 - Buffalo Bills 3' x 5' Polyester Flag1 - 6' White Steel Flag Pole1 - Wall Bracke..
Buffalo Bills Shot Glass Set4 Piece SetDisplays evolution of team logoOfficially LicensedShow pride ..
Buffalo Bills Mascot 3' x 5' Polyester Flag 100% synthetic waterproof polyester material Double ..